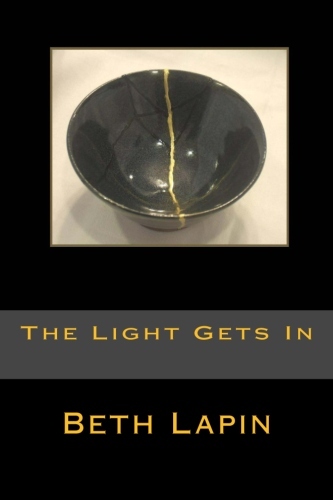 BETH LAPIN recently published her second novel, THE LIGHT GETS IN. Exploring whether we can let go of our search for perfection and recognize the value of our flaws, her book continues the adventures of Ben, Maia, and Tina, accompanied by their faithful canine friends Orion and Stella, from TO SAY GOODBYE (2012), a Wings ePress best seller. A mixture of history, mystery, and relationship development, Lapin builds on her biological science and social work background to develop an entertaining read. Ben, loyal to his father, obsesses about his widowed mother’s potential relationship with a family friend. Maia is bored with her job until she learns she might lose it. Tina, Ben’s daughter, is determined to keep things status quo and her career on track despite a second pregnancy. Paperback copies available by emailing Beth@BethLapin.com. Both ebook and printed version on Amazon.